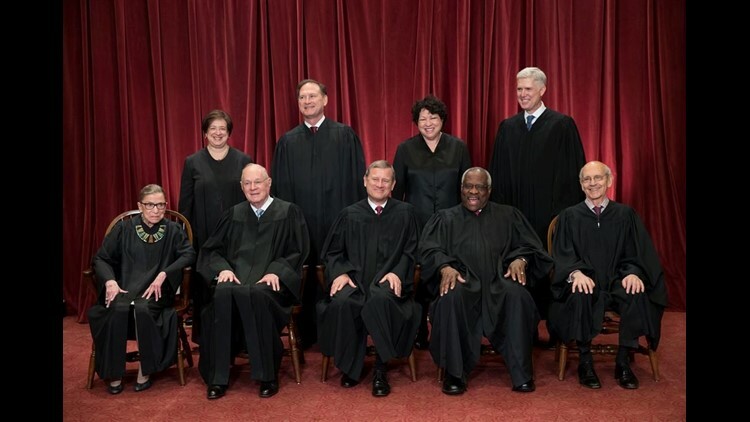 WASHINGTON (AP) — The Supreme Court will take up a momentous fight over parties manipulating electoral districts to gain partisan advantage in a case that could affect the balance of power between Democrats and Republicans across the United States. The Supreme Court has never struck down districts because they are unfairly partisan. Similar lawsuits are pending in Maryland, where Democrats dominate, and North Carolina, where Republicans have a huge edge in the congressional delegation and the state legislature. "The decision in this case will likely set the path for redistricting in 2020 and beyond. The essential question is whether the court will finally accept a new standard and block partisan gerrymandering, or continue the court's stated disapproval of excessive partisan gerrymandering while never finding one to overrule," League of Women Voters president Chris Carson said. The challengers to the Wisconsin districts said it is an extreme example of redistricting that has led to ever-increasing polarization in American politics because so few districts are genuinely competitive between the parties. In these safe seats, incumbents tend to be more concerned about primary challengers, so they try to appeal mostly to their party's base. "Partisan gerrymandering of this kind is worse now than at any time in recent memory," said Paul Smith, who is representing the challengers to the GOP plan in Wisconsin. But Wisconsin officials defended the legislature's work and called on the justices to undo the lower-court ruling. "As I have said before, our redistricting process was entirely lawful and constitutional, and the district court should be reversed," Wisconsin Attorney General Brad Schimel said. The federal court that struck down the districts adopted an equation that offers a way to measure the partisan nature of the districts. It essentially measures and compares each party's wasted votes —those going to the winner in excess of what's needed for victory — in an election. As measured by this "efficiency gap," Republicans can increase the number of the districts they control by stuffing Democratic voters into already Democratic districts. The measurement could appeal to Justice Anthony Kennedy, who has said he is willing to referee claims of excessively partisan redistricting, but only if the court can find a workable way to do so. Until now, he hasn't found one.